Jane Erskine, Casework Director at The Property Ombudsman, contributes to an industry article published in October's edition of The Negotiator Magazine. The Property Ombudsman is helping to raise standards in the property industry, says Katrine Sporle, Property Ombudsman. Access to properties can cause serious issues if the right of way is not documented, says Katrine Sporle, Property Ombudsman. If an agent intends to charge a 'performance fee' it must be clear before he goes on stage, says Katrine Sporle, Property Ombudsman. "Take great care when selling retirement property, to avoid accusations of neglect", says Katrine Sporle, The Property Ombudsman. "Moving in: make all the arrangements crystal clear or it can reflect badly on you", says Katrine Sporle, The Property Ombudsman. "When is a flat not a flat? When it’s afloat…” says Katrine Sporle, The Property Ombudsman. 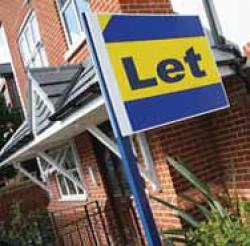 "Selling a property to a tenant? Be very clear about the fees," says Katrine Sporle, The Property Ombudsman. "Tenants’ deposits cannot be used to cover fees due from the landlord"
says Christopher Hamer, The Property Ombudsman. let’s clear the confusion,” says Christopher Hamer, The Property Ombudsman. This is an ideal buy-to-let investment… or is it? Check the facts first says Christopher Hamer, The Property Ombudsman. Inventories – discrepancies, deficiencies and differences. Christopher Hamer, The Property Ombudsman, says the Devil’s in the detail.